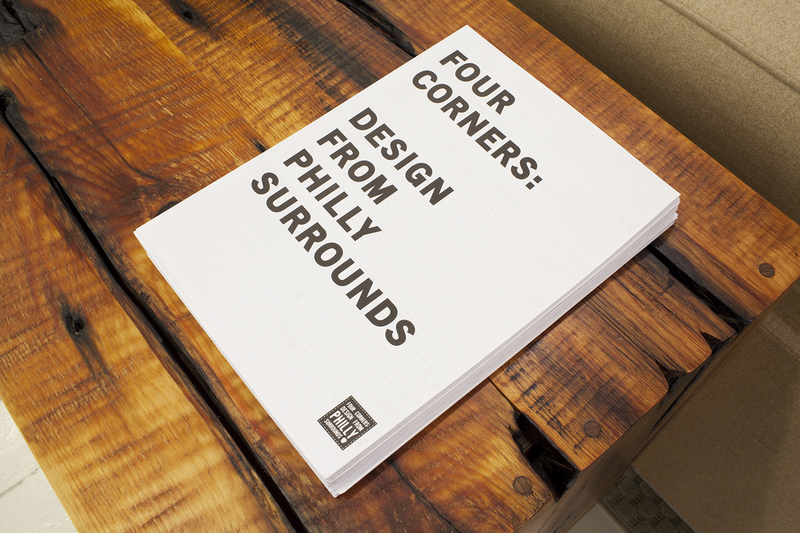 The Four Corners exhibition [insert link to that project] took place during DesignPhiladelphia 2012 on the second floor of the Minima Gallery in Philadelphia’s Old City. My co-curator, Royce Epstein, and I worked with designer Nicole Lavelle on a print catalog and website designed to encourage real-time and virtual visitors to consider the exhibition’s local, and in some cases humble, everyday design, as museum-worthy objects. The fold-out, broadsheet catalog pictured each of the show’s designs in silhouette against a stark white background, with title, designer, materials, and date listed beneath as well as an “object story.” Just as on the exhibition floor, the juxtaposition in print of pieces such as a Wharton Esherick side chair and a piece of street art by Joe Boruchow inspired viewers to make connections and comparisons. For the website we translated this catalog of objects into a digital format and included other features, such as an essay, a “by the numbers” sidebar, press about the exhibition, and a photo gallery. 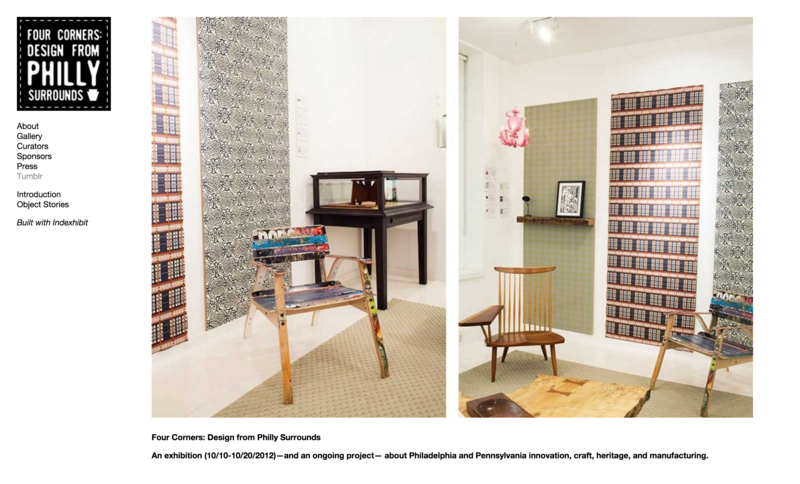 It lives on as a permanent record of the exhibition and of one particular moment in Philadelphia design. Explore the Four Corners website.